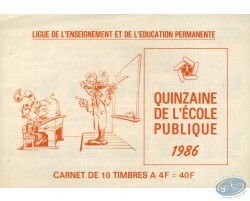 Pad of 10 stamps "quinzaine de l'école publique 1986"
Complete sheet of stamps made by the Belgian Post Office on the theme of the comic books series written by Arleston. 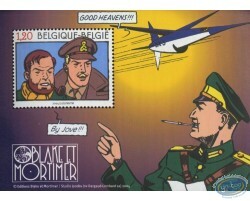 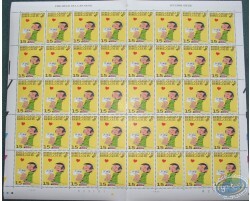 Complete sheet of stamps made by the Belgian Post Office on the theme of the 'Sammy' series. 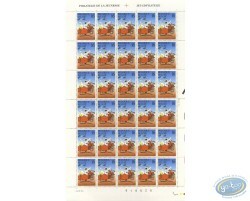 Complete sheet of stamps made by the Belgian Post Office on the theme of the 'Cubitus' series. 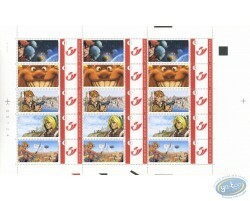 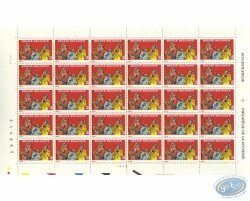 Complete sheet of stamps made by the Belgian Post Office on the theme of the 'Gaston Lagaffe' series. 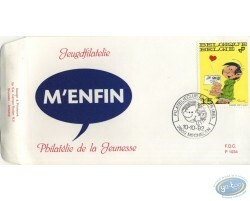 1st day card with stamp made on the theme of the 'Gaston Lagaffe' series for the Philatelie de la jeunesse event.